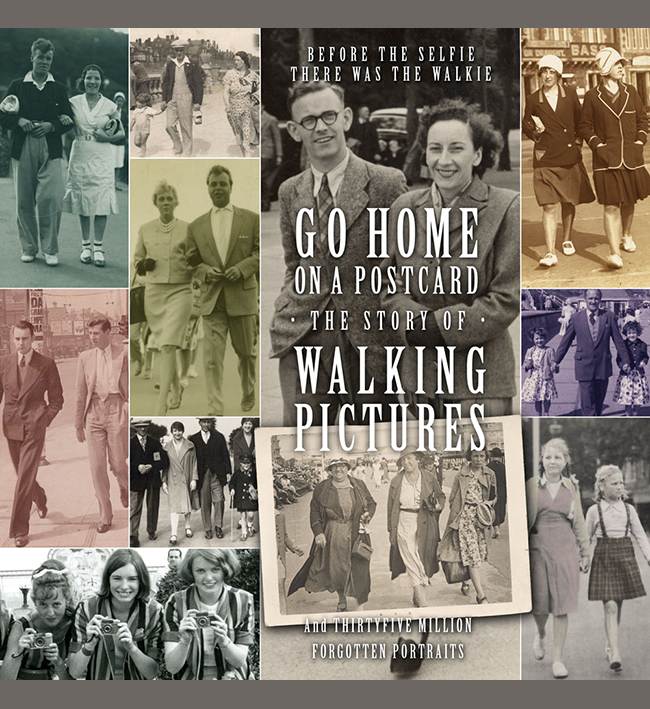 It’s always interesting to see variations on the walking picture and seaside snap business over the years. As walkies tailed off during the Sixties, seaside photographers were still trying to find other ways to part holiday makers from their cash. These two images were part of a cache of cut-out Polaroids found by a collector in the Eighties, and posed a bit of a puzzle for a time. The mystery was solved when it turned out an enterprising photographer had bought a badge making machine. He approached holiday makers, and if they liked the idea, took a Polaroid, cut the circle out and made it into a ‘while – u – wait’ pin badge. The rest of the print was discarded but not thrown away, and were later found. They have been collected into a new book of found photos called In Almost Every Picture 14, part of a series of photo books curated by Erik Kessels. I do have a couple of walkies where the heads of the people have been cut out perhaps to stick in an album or frame, and all I have is the abandoned print with holes in. Polaroids were used in the walking picture trade but not widely, although were popular in Mexico. It’s likely that they were too expensive to use speculatively as people walked down the street, so were restricted to “take your photo Sir / Madame” type encounters. Amazingly the Polaroid camera has returned. Abandoned by the company in the face of digital developments, enthusiasts first sourced new film for old cameras and then relaunched the camera under license in 2010.